This website showcases research by me - Richard Rosch - and my collaborators. We are using a variety of neuroimaging tools, and advanced computational modelling to get a deeper understanding of childhood epilepsies. This work builds on these four broad insights. Children's brains are constantly changing - The first few years of life are crucial and involve changes right from the very basic makeup of individual neurons, right up to the way different brain areas talk to each other. This allows children to learn everything they need to in early life. Yet some of what makes children's brains special may also contribute to why we see certain neurological conditions more commonly in children. Even just a single faulty molecule can cause problems in brain development - Every year we are learning more about what causes neurological disorders in childhood. There are now many cases where we know that a child's epilepsy is caused, for example, by a single genetic mutation. Such mutations can have very complex effects on the development of the brain, which we do not fully understand yet. Neuroimaging gives us a window into brain development - We can learn more about some of the brain changes in development by recording brain activity from children, and from relevant animal models. 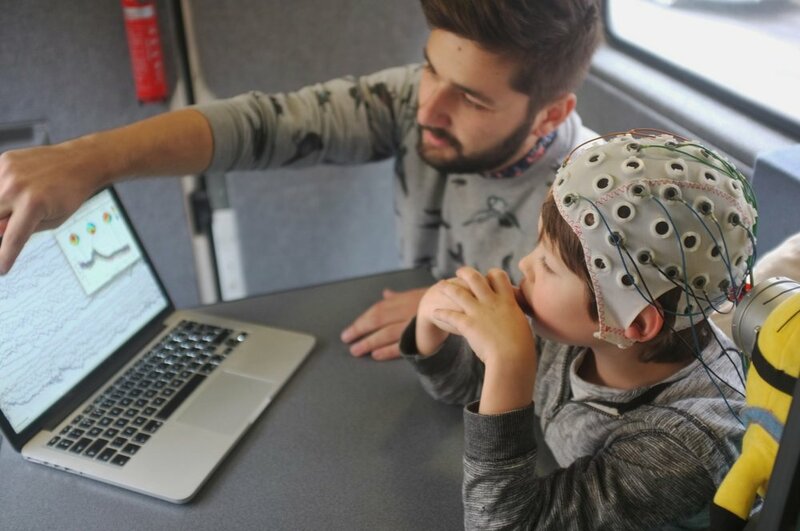 In children we can record electrical brain activity using EEG, or perform functional brain scans such as fMRI. In some experimental animals we can even see the activity of individual neurons using methods such as light sheet microscopy. Computational models let us bring different perspectives together - it can be difficult to understand exactly how abnormal behaviour of individual neurons comes together to produce devastating neurological conditions such as epilepsy. We can use computer simulations of brain networks at different scales to try and bridge some of this gap, and develop a deeper understanding of how brain development can go wrong.